It’s a battle of titans in today’s mattress comparison. 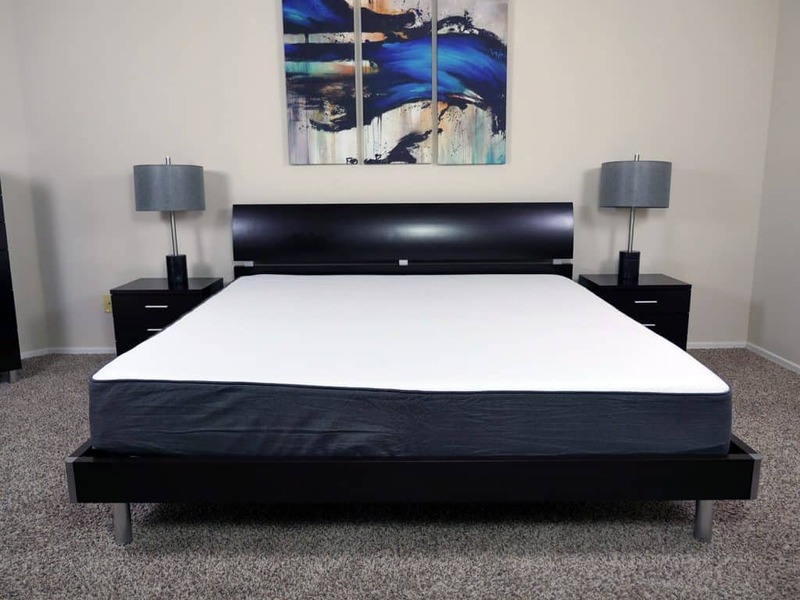 In one corner, we have Saatva, one of the early founders of the online mattress industry, they have been selling hybrid / coil-on-coil luxury mattresses for 4 years. In the other corner, we have Casper. 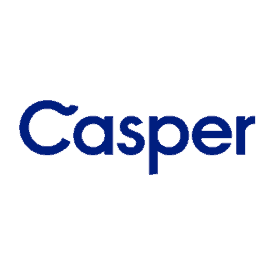 Over the last 3 years Casper has become one of the largest and most popular online mattress companies. But which mattress is truly king of sleep? Continue reading to find out who reigns victorious in our Saatva vs. Casper mattress review. Separating themselves from most mattresses, Saatva takes a different approach, constructing a mattress that is built on 2 layers of steel coils. With a thickness of 14.5″ (11.5″ thickness available as well), this coil-on-coil hybrid system assists in improving comfort, support, and longevity. Top layer (comfort) – euro-style pillow top – Built with an organic cotton cover, the top layer is both breathable and soft. A euro-style pillow top is stuffed within the cover, adding great comfort and softness, without sacrificing the clean tight aesthetic. Second layer (lumbar support) – memory foam – Immediately below the cover is a thin layer of memory foam. This layer provides additional lumbar support. This layer is only 1.0″ thick. Third layer (support) – foam encased contour coils – A 4″ layer of individually foam encased coils serves as the comfort and contouring support layer. These foam encased coils contour and evenly support the curves of your body. There are 884 individually foam encased coils in the Queen size mattress. Foundation Layer (support) – high-profile support coils – The bottom layer support base consists of traditional hourglass shaped steel coils. These coils serve as a foundational layer, delivering great support and shape for the mattress. Within the queen size, a total of 416 coils provide 7″ of thickness. 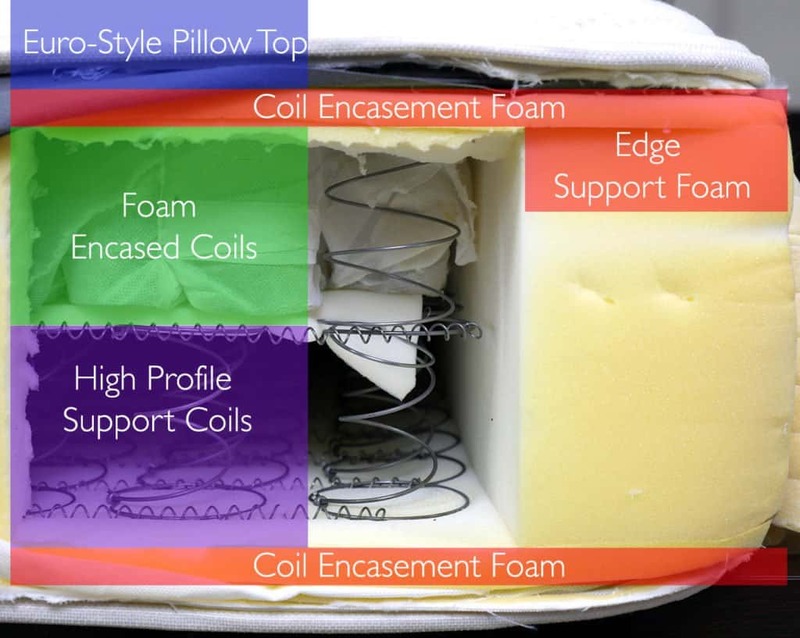 Edge Support System – foam encasement – Completely encased with foam, this layer sits between the top and bottom layer of coils and along the edge of the mattress. This edge support layer reinforces the edges of the mattress, improving performance for both sitting and sleeping. Constructed from 100% organic cotton, this cover is exceptionally well made. It is highly breathable, has a cool feel, and is also soft. This is very similar to the cover Saatva uses on their luxury 100% foam mattress, the Loom & Leaf. The pillow top adds a great softness and comfort to the mattress. Compared to traditional style pillow tops, euro-style is structured in a different way. Euro-style is inserted underneath the organic cotton cover and seamlessly aligns to the edge of the mattress, giving it a more aesthetically appealing look. The euro-style design is in contrast to the traditional pillow top, which are sewn to the top of mattress itself; traditional pillow tops give the appearance of a large pillow resting on top of your mattress. This euro-style pillow top design creates softness and comfort from the combination of 1.25″ soft foam in the cover + 1 oz Darcon + 3/4″ Fiber fill. While traditional style pillow tops tend to lose their structure and softness over time, euro-style’s construction has improved durability. Lastly, Saatva’s cover uses a special quilting pattern that is tighter and more supportive towards the middle, while being looser and a little less packed towards the foot and head of the mattress. This allows the mattress to provide more support to your mid-section and better keep your body in more of a neutral spinal alignment. The Saatva has taken a different approach towards firmness. Instead of the traditional “one-firmness-fits-all” method, they have decided to offer 3 different levels. Ranging from levels 3-8 on the firmness scale (1= least firm, 10= most firm). The softest Saatva, the Plush soft, is a 3.5 out of 10. The medium feel Saatva, the Luxury Firm, is a 6 out of 10. And lastly, the most hard Saatva, the Saatva Firm, is an 8-8.5 out of 10. At first lie on the mattress, you will feel the instantaneous softness and comfort from the euro-style pillow top. The coil-on-coil layers offers great support as well. 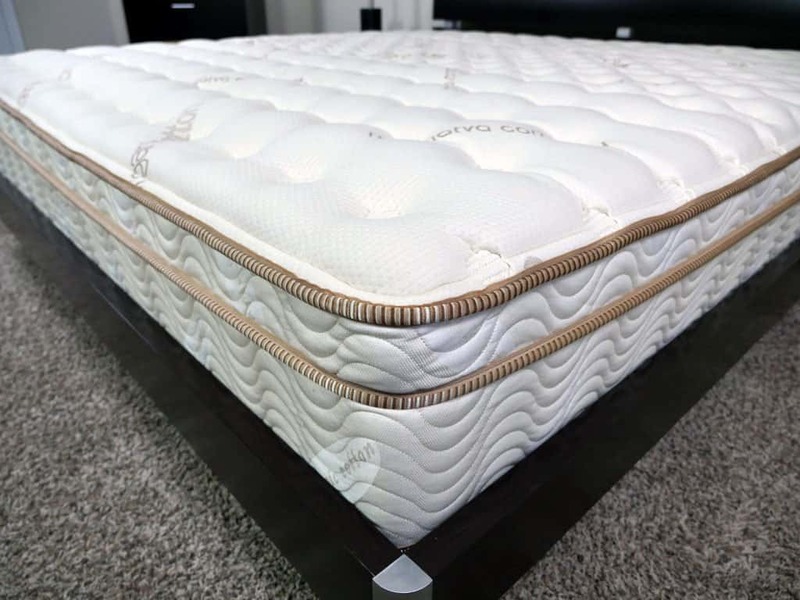 The coil-on-coil design allows all sleeper types, positions, and sizes to be well supported, while the comfort top layers helps to alleviate pressure points. With regards to the material construction, Saatva does a good job of merging organic and healthy materials within each level of their mattress. The cover is constructed from 100% organic cotton. Instead of a fire sock or chemical based flame retardant, Saatva uses natural thistle as the fire barrier. Additionally, the steel coils are all recycled. Is it 100% organic? No, but I do like and appreciate that Saatva is taking steps to create a little more healthy and environmentally responsible product. 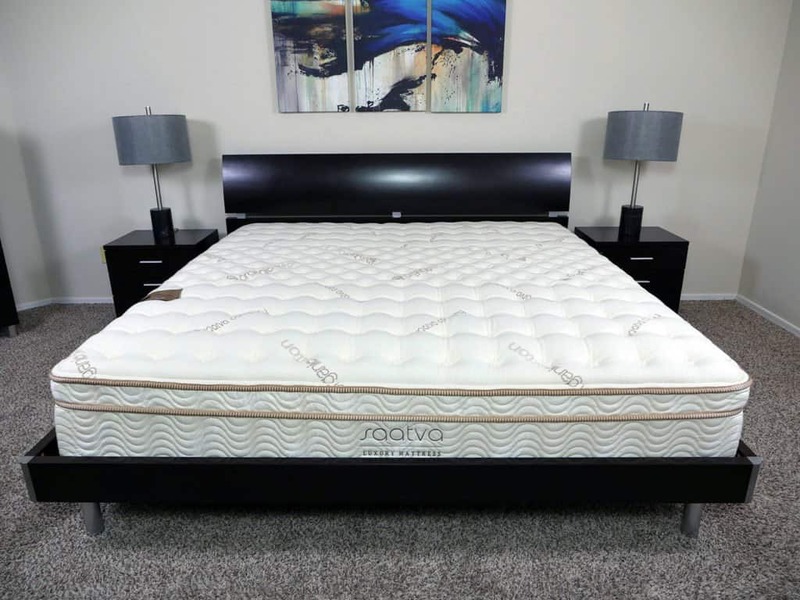 Although Saatva offers multiple thickness levels (11.5″ and 14.5″), the two mattresses have the same feel and price point. The different heights are simply there if you have an aesthetic preference for a thicker or thinner mattress. Prices only vary depending on the size of the mattress, not the thickness level. 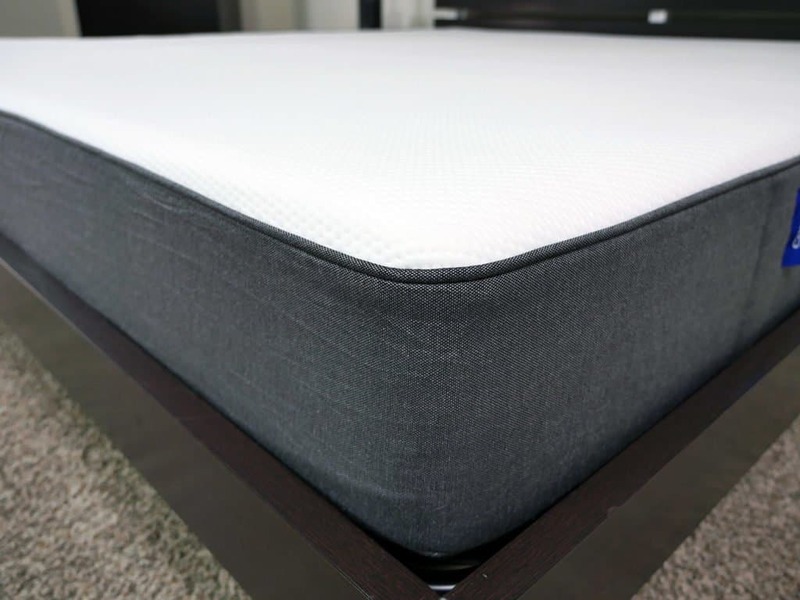 The Casper is a 9.5″ all foam mattress built from 4 different layers of foam. Providing the best of both worlds from latex and memory foam, this foam mattress allows you to keep cool during the night. 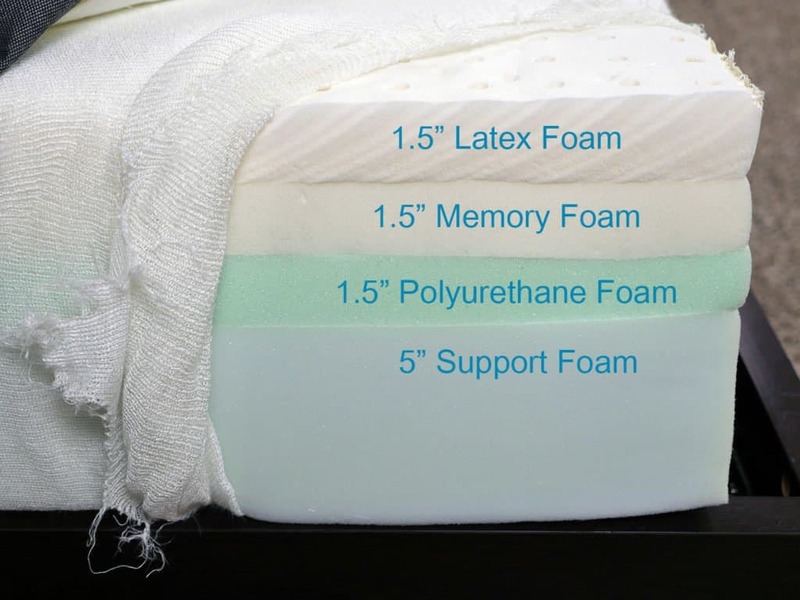 Memory foam has a reputation of “sleeping hot,” but by placing the latex layer on top of the memory foam, the mattress is able to breathe in addition to offering good support and body contouring provided by the memory foam. The Casper cover is modest, but well constructed. The 2-tone design is a nice change of pace vs. the typical all white mattress covers. The white fabric on top is 100% polyester. It’s soft and quite porous. The extra porous weave helps to improve breathability and surface cooling on the mattress. The white fabric on top is sourced in the USA and woven in South Carolina. The grey side panels come from Belgium. With regards to firmness, the Casper mattress is medium. Based off of my sleep tests, I would rate the Casper at about a 6-7 out of 10 on the firmness scale. This mattress is designed to have a “universal comfort” feel to meet the needs of most sleepers. If you’re a heavier sleeper, you will likely find that the Casper sleeps a bit closer to a 7 on the firmness scale. This is because heavier sleepers will sink deeper into the mattress, down to the denser and harder layers. You’ll begin to see this if you’re over 200 pounds, but especially anyone 250+ will experience this more acutely. With a nice degree of softness, Casper generates a fairly distinct hug around your body. While lying normally at a weight of 140lbs, I found that the mattress sinks about 1-1.5 inches. While the Casper does have a pronounced hug, it is not pronounced in the way that memory foam normally is. A memory foam mattress will hug and more sharply contour to the sleeper’s shape. Casper’s top layer of latex allows the sleeper to sink at a similar level, creating a bit of a light underlying bounce feel, but it doesn’t create an overly enveloped memory hug. The latex offers great response, bounce, and a hug that doesn’t trap sleepers like more traditional memory foams sometimes can. Support on the Casper is average. Height 10" 11.5" & 14.5"